Is there any airline more sad than Air Jamaica these days? I think not. The latest fight for control of the airline shows just how bad things are there and in Jamaica in general. you haven’t been watching (most people haven’t), Air Jamaica has really struggled to find its balance for years. It has limped through the years as others have started to encroach further upon its Jamaica – US business. Lately, the Jamaican government’s goal has been to privatize the airline, but it’s been slow to happen. A bunch of employees have formed Mayday Air Jamaica, and they’re trying to prevent Spirit from getting involved. They just want to make sure it stays in the hands of Jamaicans. Why? Air Jamaica is our one remaining national treasure, our only resource to hand down to the children of Jamaica in hopes of a better future for them. Is Jamaica really that awful? I mean, is it possible that the only thing they have going for them is a small, money-losing airline? Sheesh. By the way, if their goal is to be able to hand Air Jamaica down to their children, they aren’t doing a very good job. In the very same release, Mayday Air Jamaica says that if Spirit doesn’t walk away from Air Jamaica, the employees will picket the airline in Miami on December 15. To this, they say “Sampson is staging the peaceful protest knowing full well its potential to disrupt holiday travel at one of the nation’s busiest hubs.” Well, that makes perfect sense now. If you want to hand down an airline to your children, you should definitely try to hurt it financially. Tough love. In addition to asking Spirit Airlines to withdraw its offer to buy Air Jamaica and publicly disclose the terms of its purchase deal, Mayday Air Jamaica is asking the Jamaican government to sell the airline to the employees at the same terms, at a 20% discount designed to show support for the people of Jamaica. Let’s review. The employees of Air Jamaica have no idea how much Spirit is willing to pay for Air Jamaica, but they say they’ll agree to the same terms . . . um, minus 20%. Can we assume that the 20% discount will be made up for with stellar management skills? Not if these (now former) Air Jamaica employees who have been accused of embezzlement are part of this crew. The hard part here is that Jamaica can’t limit the number of U.S. carriers serving Jamaica as the U.S. carriers would get annoyed and pressure their purchased elected officials in Washington to punish Jamaica and Air Jamaica. Sadly Jamaica like a number of Caribbean Islands rely on American tourists to pump money into their country. That is their number one money making business. So Jamaica needs the tourists to survive, but that may come at the expense of Air Jamaica. They can’t complete with big U.S. carriers and their vast domestic networks. The JM employees and other country men might want JM to stay Jamaican owned, but they could see the carrier fold and no one have a job or a national branded carrier. Your blog entry is a masterpeice of understatement. Have you spent any time on Mayday Air Jamaica’s website, http://maydayairjamaica.com ? The ranting there (principally from the head of JALPA, the Jamaican Air Line Pilots Association) is absolutely bizarre. I am particularly puzzled by the “open letter” To Jamaica’s Prime Minister. Huh? Looking at the Mayday site, it looks like another case of unions trying to protect their interests. Air Jamaica is a bit of a joke to Jamaicans – I should know. Yes, Jamaicans have taken pride in having hot meals served on these flights. However, Jamaicans also patronize the other airlines flying to Jamaica (Spirit, US Airways, AA). In fact, it wasn’t until competition from US-based airlines grew in the mid-late 90’s that you saw reduced fares and more frequent flights to Jamaica. Air Jamaica almost disappeared from the landscape until it was rescued by hotel magnate Butch Stewart in the late 80’s early 90’s. I thought it was semi-privatized in that move, but it eventually returned to its old money losing ways and is still recovering from 9/11. In either case, the mayday smokescreen is just the union trying to keep the dream alive. Ask Chrysler (Renault?) and GM (Uncle Sam?). I can’t say I completely disagree with Mayday Air Jamaica. I mean, if I was an airline employee, I wouldn’t want my airline to be taken over by Spirit Airlines either. Honestly, would you want to work for Ben Baldanza? It is a frightening diatribe isn’t it? So weird. Well, maybe, but I would think that a 20% discount is hardly going to fly. If they want to make a serious bid, that’s a different story, but I bet they’d run it into the ground. I did some digging on this. Wesley Sampson is behind the Mayday Air Jamaica website. He was the President of the Jamaica Airline Pilots Association…in 1986! The official Jamaica Airline Pilots Association’s website is here: http://www.jalpa.org. It confirms that the union has made a “bid” to buy the airline. As for the rest of the stuff on the Mayday Air Jamaica website, well…Interesting. Also interesting to note that, according to Air Jamaica’s official website, the airline has 9 planes– and 2,500 employees! No wonder they’re not profitable! Wasn’t Indigo Partners going to take over AJ? Indigo owns Spirit as well and I guess that’s where people get the connection. Also, why would the AJ employees picket in Miami? Neither Air Jamaica nor Spirit Airlines serves that airport. They both serve FLL instead. You forget how sad and in dire straights Air India is in. Yes, the rumor was Indigo, but I haven’t heard anything concrete yet. As for Miami, weird. But if, as JM notes, the guy was the head of the Air Jamaica pilots union in 1986, he may think they still fly there. You’re right. I may have to offer co-sadness titles, because Air India is really in bad shape these days. I can understand the want for the airline and its employees to retain national ownership of the airline, flag carrier of Jamaica, and how outside investment could be seen to damage this. But certainly if employees carry on with their opposition then the airline is set to fail, especially as already stated if a strike occurs during the holiday season. The airline needs to re-position itself and take back some market share its only losing steadily to the bigger players. In essence, they need a complete turn around a la Vietnam Airlines’ re-structure in 2002. VA is now both national airline and an established and fairly reputable airline brand from what it once was. But clearly the only way this could conceivably happen to Air Jamaica is with some hefty outside investment. It just goes against all logic to oppose this happening, surely a chance at retaining national heritage with outside investment is better than losing it all together and leaving the country dependent solely on foreign carriers? Hmm, so if they’re going for “Keep Air Jamaica My Air Jamaica” is USAirways going to make a bid? I mean they’ve got A320s with CFM engines. What more could USAirways want? Airplanes that are actually airworthy. Im Shocked! No…, actually, Im not! Having flown on them as a kid, back in the day when JM relied on the gods to cover maintenance of their jets (my first near crash was on a JM plane). Not much has changed since. They allowed (some say gave away) LHR slots for $10 million dollars. When a pair of slots go for $100 million. 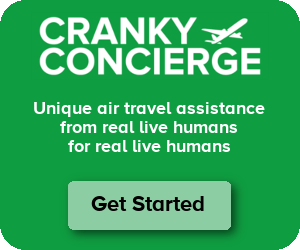 Ask CO, who just purchased a few for $400 million to launch Heathrow services!. Basically JM is a mess! So long, goodbye! Thanks Cranky for the well-written article. I too found it interesting that the employee group (Mayday Air Jamaica) would be picking at MIA instead of FLL. JM is a sad story, going downhill these past few years. I am not sure if this is a case of the “smallness affect”, i.e. a small carrier like JM trying to compete with AA’s marketing power or the growing list of low fare carriers like NK (Spirit Airlines) taking market share. There may be a hidden message for the other small national flag carriers in the Caribbean. I remember when JM launched on April 1, 1969 (I was there) with a lot of national pride and emotion. It could be a sad ending if this story is not turned around real soon but I am not sure there is an internal fix. They have certainly been a colorful carrier over the years. I wish the employees well. My old CEO from National Airlines (Michael Conway) went to Air Jamaica and got fired a couple years later…kind of shows you how desperate they were to hire that guy, since he had a less than stellar track record in aviation management. Thank you for the find with the mayday site…it is a true head-scratcher. I think Hugo Chavez was a ‘mayday’ ghost writer. It seems that it is both the ‘smallness effect’ compounded by USA based LCC inroads into the Caribbean market and unrelenting competition from European ‘mother country’ flag carriers (AF,IB,KL) and numerous tour operators. Look at the collapse of BWIA & Air Aruba. In my humble opinion the only way to make a Caribbean airline ‘work’ is to think regionally…within the multilateral parameters of CARICOM. Yes, it is sad to see the symbol of a nation’s identity fail…but perhaps it is time for the concept of national identity to fade away in order to secure a better future for the region. are we supposed to feel sad for a poorly run airline that’s the flag carrier for a nation filled with anti-gay bigotry ?? No one wants their airline to be take over by another. However, if Air Jamaica does not measure up to the other airlines then they will be acquired by another or they could merge with another airline. If the above is your reason for opposing assistance for the airline then shame on you!! Hello, I am a student pilot studying at Chimes Aviation Academy (www.caaindia.com) The last time i traveled with Air Jamaica the service was a bit lax but i am sure that in the near future they will be able to bounce back. As far as ownership of the airline is concerned i think i would agree with the Jamaicans. Pride is necessary and sometimes the only real option.